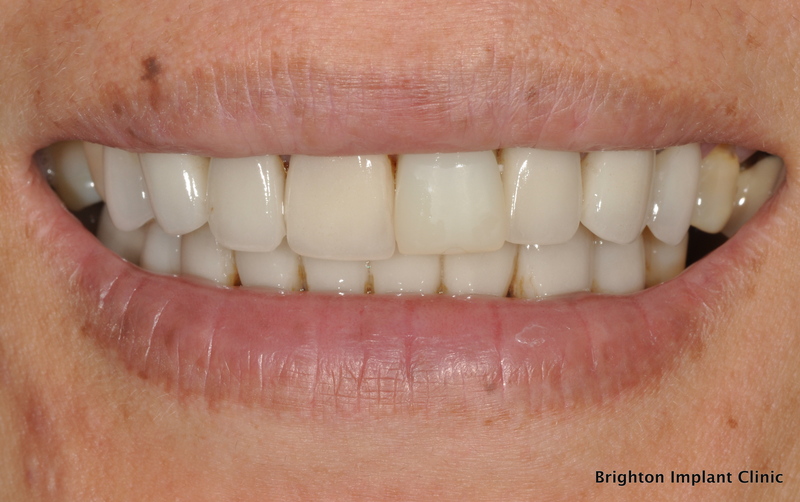 Do you need dental implant treatment? A dental implant is a type of dental device which is permanently placed into the jaw bone of the upper or lower jaw using Dental Implant Treatment. 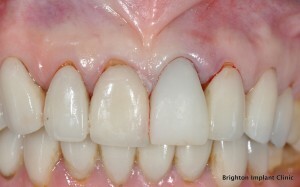 It is used to replace a missing tooth or several teeth. A dental implant is a two part fixture, one part is above the gum line, which is called the crown, and the second part is below the gum. The second part is often referred to as the screw as it resembles one in appearance. However it is no ordinary screw, it is made of titanium which will fuse with your jawbone, creating a permanent root for a false tooth. The crown is supported on an abutment which acts like a post for the crown to be seated on. 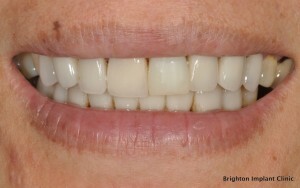 How long does dental implant treatment take. Having a dental implant inserted does require some minor surgery at your dentist’s office. The dentist will assess your need for a tooth replacement, such as, you have one or more missing teeth due to decay or injury. X-rays and possibly a CT scan will be taken to ensure your implant is placed in the most appropriate position, as well as giving the dentist important information such as how thick your jawbone is. To insert the root of the implant, the dentist will decide if it is to be a one or two step procedure. If a one-step procedure is used, the dentist will cut a hole in your gum, and then drill a hole into your jawbone for the root to be inserted. 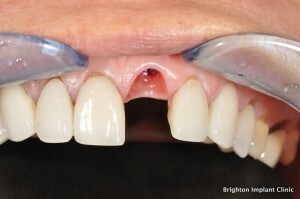 After it is inserted, the dentist will then attach the dental crown to it. A two-step procedure will involve the root being inserted then covered over with your gum, which is stitched together. 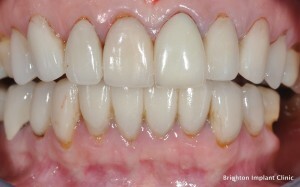 Several months may pass before your gum is cut open again and the crown is fixed to the root. This is to allow your mouth time to heal, as well as time for the jaw to begin growing around the titanium root. If you are having an extraction of a tooth and you require a dental implant procedure, talk with your dentist about the possibility of an immediate placing before your tooth is extracted. This will enable the dentist to make an informed decision about whether or not this is possible. The absence of infection and the density of your jawbone will play an important part of this decision. If you have a dental implant placed immediately after removing a tooth, it can save you about three months of healing time. It may also reduce the number of visits you need to make to complete the dental implantation process. Often people are concerned about dental implants pain. Most people say that having a dental implant is no more painful than having a tooth extracted. Over the counter pain killers can be used if needed, but consult your doctor or pharmacist for advice before taking pain medication. During the insertion of dental implants, the dentist will use analgesic pain relief injections in your mouth, so you will feel no pain. If you feel you need further medication, talk to your dentist about the possibility of having a sedative or maybe even a general anaesthetic.